But, there’s more to it than just signing up to get a free MailChimp account. You have to find out what kind of freebie you want to offer your would-be subscribers. Because just having a sign-up box that says, “Join my newsletter” won’t attract many bloggers and it won’t attract the right audience. What you need is a lead magnet. This is an incentive you have to let readers know that if they sign up to your email list, they’ll receive something free in return. Now, that’s pretty sweet, eh? Who doesn’t want something free? Instant access come my way! So, how do you find that mind-blowing incentive idea to grow your new email list? Let’s look at five ways you can use to find some amazing freebie ideas and then look at some ways to package that idea. You started your blog maybe a month or two months ago and you have a couple of blog posts. What better way to create an incentive than with what is already resonating with your audience? You can use Google Analytics to get an idea which posts are getting the most traffic. For example, if you have a homeschool blog and your most popular blog post is one about how to find the best school curriculum for your child. This post also has a lot of social shares. You can build from this blog post and create a freebie about the same topic. You might want to make a list of various home school curriculums and do a compare and contrast. Or, maybe you can create a toolbox of things you need to start homeschooling. In it, you can have a guide, checklist, and planner. If you don’t have a lot of blog posts or you don’t have a lot of traffic coming to your blog, you can still base your freebies around your blog content. This is called a content upgrade. Content upgrades are freebies that relate to the blog post you are reading (for example, in this blog post, my content upgrade is a video on how to create freebies using Google Slides). Try to think of content upgrades as enhancing a blog post. Some bloggers will gate the content instead. What this means is a blogger will publish a post with a high list number (example: 50 Free Date Ideas) but only put half or less than half on the blog post. To see the rest of the list, you have to sign up to the blogger’s email list. And the freebie they are offering? The rest of the list!! This isn’t the best way to make friends with your readers. They may be annoyed and get turned off if you end up doing something like this. Instead, offer an addition to your post. For the above example, an incentive freebie idea might be a dress guide: 5 Hot Outfits to Make Your Date Swoon. By providing a dress guide to go with the list of date ideas makes perfect sense. When this happens, the likelihood of someone opting onto your list is very high. Why? Because they are already primed on that topic. Your freebie is the icing on the cake. If you do, you can see what’s popular in your niche or what’s trending. How do you do this? Here are three ways I find out what’s happening in my niche. From here you can come up with a freebie idea for your fitness mom blog. BuzzSumo is a free tool that looks at popular content based on social media shares. Plug in your keyword, niche topic or website and see popular posts. Here’s my result for productivity tips. 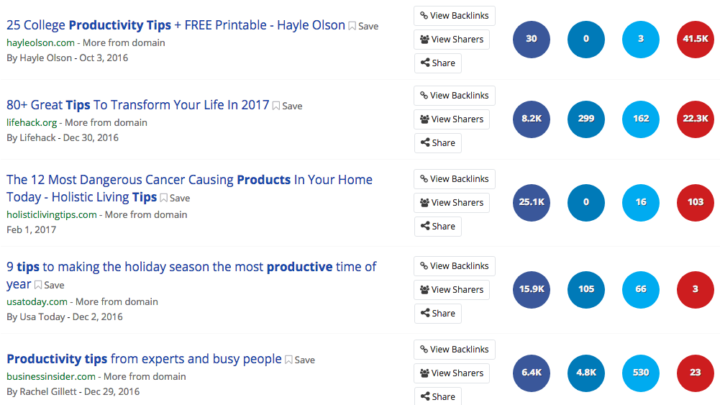 Based on this list you can see what posts are most popular on Pinterest and Facebook (and even LinkedIn). These can inspire you to make a freebie for your blog about being more productive or mindful. It is a list post and gives tips to transform your life. You can niche this down and make this a list for your family (70 Productivity Hacks for a Happy Family) or you can do a roundup of bloggers in your niche to get their #1 productivity tip (35 Mom Experts on Beating Procrastination and Boosting Productivity in Your Child). 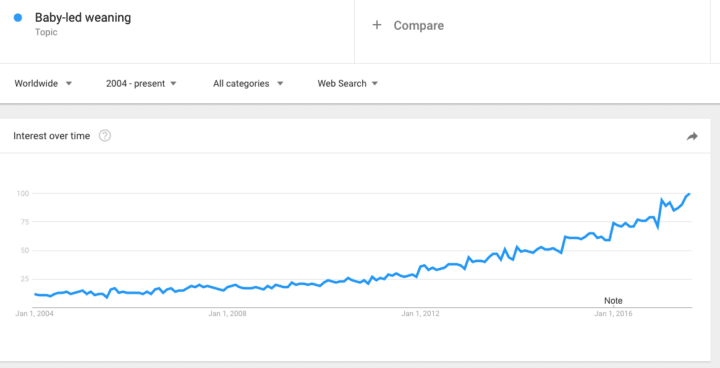 Google Trends is a free tool to search keywords in your niche and see how they trend over the time. 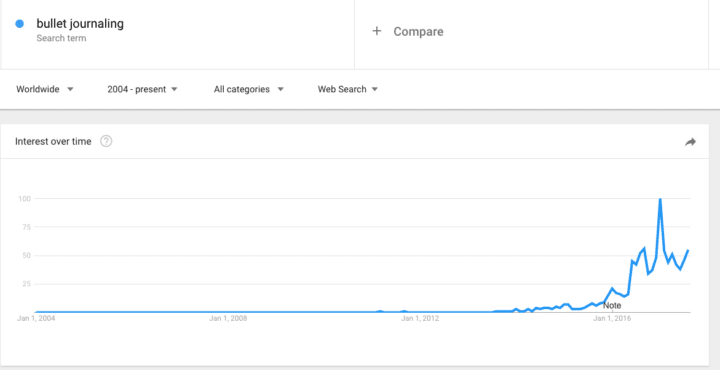 For example, bullet journaling is a new activity and you can see that in Google Trends. I also searched for “baby-led weaning” and you can see it is a growing trend over time. If you’re in the parenting lifestyle niche, you can blog about bullet journaling and baby-led weaning. You know that these topics are popular and will resonate with your social media audience. It’s okay to get ideas and inspiration from other freebies that you see online. This can help you identify what is popular. For example, maybe there might be a push for printables or video workshops. Knowing this will help you figure out which format will be good for your freebie. For example, my free email course over on Elna Cain converts great. I get 20-30 optins a day. 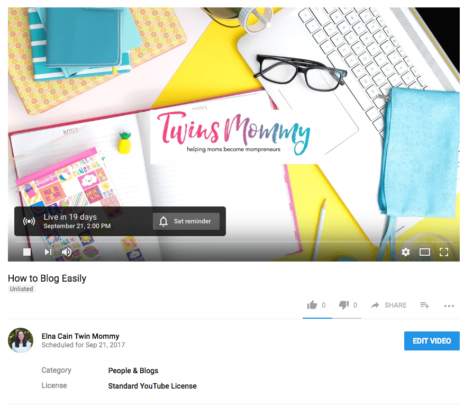 My Twins Mommy blog did not have any type of automated course like that, but seeing the success with my Elna Cain site, I decided to create a free blogging course. So go ahead and see what optins other bloggers in your niche are offering. From this you can get some ideas but make sure not to copy other optins 100% as this is a bad blogger practice. If you feel you’ll be doing that, then it’s best to go offline and get inspiration there. Your email list right now might be small. But, they can be a wealth of information to help you hone your niche and your freebie idea. You can write a personal email and ask them some questions, or you can create a Google Form and link to that in your email. You can ask them about their biggest challenge in your niche topic or what’s the one thing they would love to see you have on your blog or something like that. You can get your subscribers talking to you about their challenges and problems and how you and your blog can help them with those problems. Now that we looked at how to find these amazing freebie offers, let’s look at how we can package them and make sure your readers will be raving about your offers. My first freebie on this blog was a cheatsheet. Cheatsheets, checklists, and worksheets are easy to create and they can relate to your blog post or for your blog niche. Not all cheatsheets or checklists are popular, however. If you can find a good niche topic then your freebie will fly off the rack! For example, Pat Flynn of Smart Passive Income has a Free Podcast Cheatsheet. Another example is Mariah Coz’s Course Criteria Worksheet. This is highly niched and for bloggers that are interested in creating a course, this worksheet will attract them quickly. Think of these types of freebies as a top level freebie. While they are specific to a topic in your niche, it is a top level incentive that makes blogger look at the whole picture of a particular step or concept. Work at home blog: Get Started as a Mompreneur Checklist, Self-Care Cheatsheet for Work at Home Moms, Work From Home Checklist. Food blog: Grocery List for a Weeks Worth of Meals Checklist, Macro Nutrition Breakdown of Common Restaurant Food Cheatsheet, 7 Freezer Meal Prep Checklist. Productivity blog: Minimalize Your Home (or Biz) Checklist, 5 Ways to Maximize Your Time With Your Child. Many people see value in courses. Online courses are very popular right now so why not leverage this popularity and offer a free course or mini course? Most free courses are delivered via email (even video courses for sure!) and what’s great about this format for your freebie is that you get to be in your subscriber’s inbox consistently. Most email courses run every day for a set time. This gives you time to nurture your list and create a connection with your new subscriber. MailChimp makes it easy to create an ongoing or automated series for absolutely free. To create an email course, click on create a campaign. Then click on automated, then either click on welcome new subscribers or custom. From here you can customize each email and set the trigger and interval for each email after the first email sent. This means, if you want someone to go into a welcome series or a mini funnel to educate and inform your new subscribers of your new product AFTER they get your freebie, you have to connect the two. If you want to do a video course, you can use Quicktime or ScreenFlow. You can host your videos on YouTube or on Teachable. 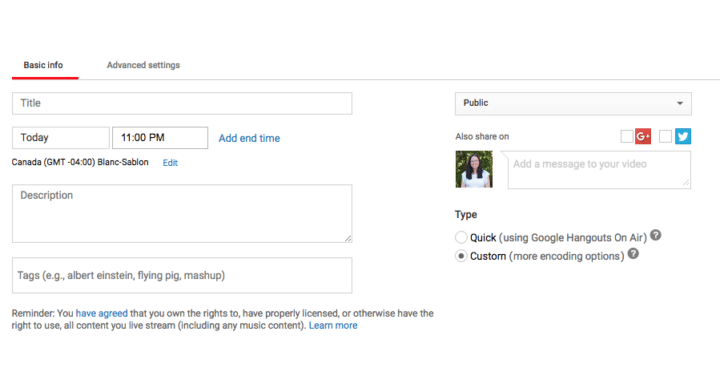 With YouTube, post your video as unlisted and share the link in your email. Only those with that link will be able to see your video on YouTube. Make money blog: 5 Day Free Course – Make Your First Facebook Ad to Sell, 6 Day Free Course – Become a Coach And Land Clients. 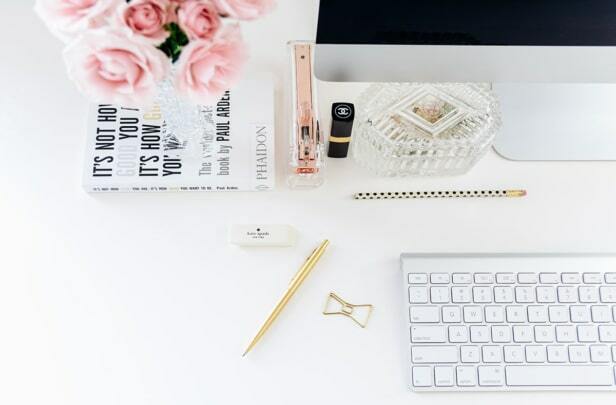 Beauty blog: Free 4 Day Video Course – Makeup for Beginners, 7 Day Free Course Learn 7 Sultry Eye Makeup Looks, Free 5 Day Course Learn KonMari Method for Your Home. Parenting blog: 5 Day Free Course Stop Yelling Bootcamp, 6 Day Free Course Safe and Fun Sleep Training for Tired Moms. If readers can get their answers in one place, they will pick up your freebie for sure. Since your freebie idea should be specific, putting this up as a guide will be helpful. Most of my freebies are guides – 8-14 pages full of information and action tips. If you want to make something longer, create an eBook. If a subscriber finds your freebie valuable, they will be hooked and become a raving fan. And you can create that by delivering awesome and amazing tips for free! For me, I create my freebies around my blog posts. These are called content upgrades. If you write a blog post about a topic you can create a freebie around a subset of that topic, a subheading of that topic or a complimentary of that blog post. 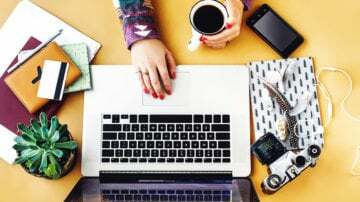 How to Organize Your Office as a Work At Home Mom – Proven Ways to Maximize Your Time When Working From Home, How to Use Bullet Journaling to Organize Your Business Working From Home. 6 Essential Back To Scool Items for Your Child – Create an Easy Transition When Going Back to School, Immune Boosting Guide for a Healthy School Child. How to Get Your Toddler To Stop Whining For Good – Ultimate Parenting Hacks Guide (For When You’re At Your Last Straw), Stop That Behavior Guide (Effective Teaching Guide for New Parents). Webinars are full of awesome tips. They are typically more than 30 minutes long and feels exclusive for people. For my Twins Mommy blog, I’ve done two webinars and loved doing them! For my first webinar, I got 370 new subscribers who signed up!! Webinars can be a little daunting! My webinars aren’t perfect; I stumbled on my words, probably said “um” a million times but I got amazing feedback from my subscribers and that told me I did great. If you want to do a webinar, what topic should it be on? Personally, it should be on a topic that resonates high with your audience. Maybe you have a lot of shares on a particular post. You can turn that into a webinar. Remember, not every follower or subscriber reads every post. You can totally repurpose that blog post into a webinar. Most webinars use slides to share their topic. You can use Keynote if you are a Mac user like me, or use Google Slides to create your slides. 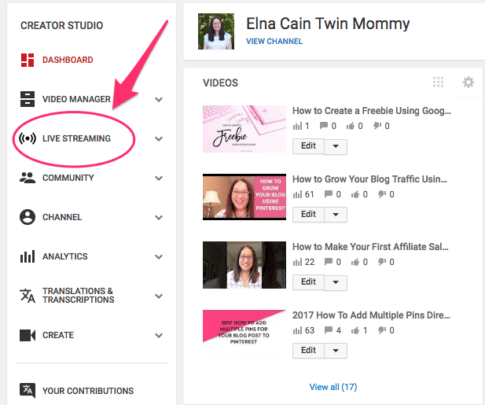 If you are ready to do a webinar, you can do it for free with YouTube Live. Make sure to first set up a YouTube channel (you need a Gmail account for this). Once you sign into YouTube, go to Creator Studio (click on your pic at the right-hand corner). On the sidebar click on live streaming. Click on Events and Schedule a new event. When you create your event, click on it and it will show you on YouTube. Click on the Share and you can use that link to tell your subscribers. What’s nice is that link is the same before, during and after your webinar making it easy for people to watch the replay. Once it’s time for the webinar, log in to your account and click on Start Hangouts on Air. You can start 10 minutes earlier to make sure everything is working. People will come to your webinar when you tell them the time and click on your link. If you can round up the best of the best and create a freebie around that, people will sign up to your email list for sure. 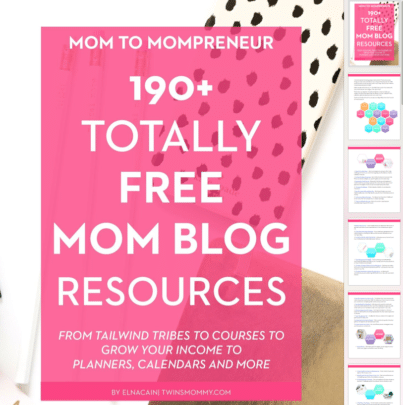 My most popular freebie is my 190+ freebie roundup. I launched it in December and already have over 1,500 subscribers sign up to download this guide. Giving a reader free access to an exclusive thing is highly valuable. Doing this doesn’t take a lot of time for you to create as the access was already created before (for most of these examples). 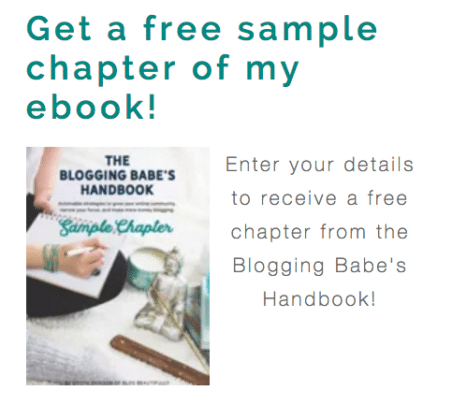 For example, Krista of Blog Beautifully gave away a free chapter of her Blogging Babe’s Handbook. The last example does take time out of your day and it’s something to think about if you want to give your time to those that sign for to your email list. I find giving free access is a warm approach to a sales funnel. As a funnel, it’s a way to nurture your subscriber and educate them by presenting the solution to their problems with your product. 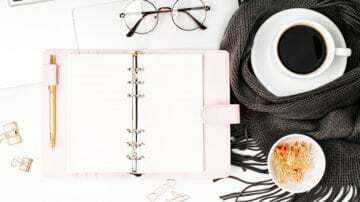 Having a free access to a Facebook group or module gives subscribers an introduction to your credibility and can help them connect to you. To make your freebie more valuable you can bundle several content pieces to create a bonus bundle or kit of some sort. Are You Ready to Grow Your Email List Every Day? There are many other ways to grow your email list, but the seven examples I give are highly valuable and almost guaranteed to grow your email list every day. Let me know what you use for your freebie idea OR what ideas you’ll use from this list! I’m glad you are un-stuck! 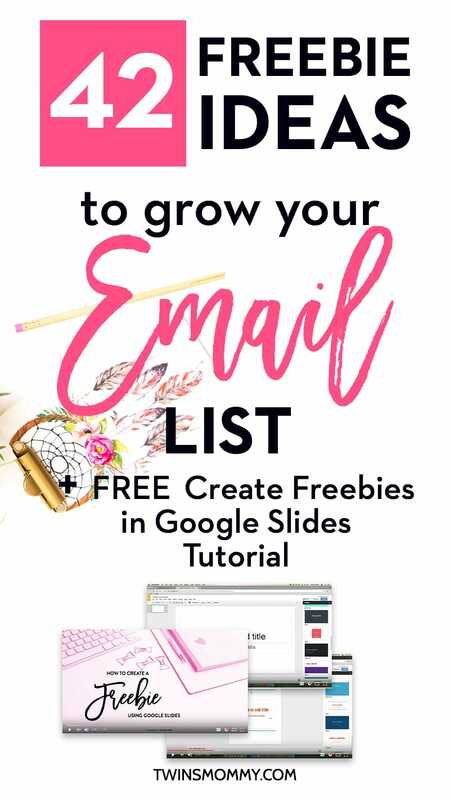 I hope you found a good freebie idea for growing your list! Thank you so much for this valuable info. I have been struggling on an idea for my freebie but with your help, I think I came up with not only a freebie but a sales funnel idea as well. Thanks again! You’re welcome! Wow! That’s awesome! Have fun creating your freebie and sales funnel! That’s awesome! You cans start a free email list and grow your list with these freebies! Have fun! Thank you Elna! You broke everything down so that it was easy to understand (gate, upgrade etc.) I would never have known the differences. Time to get to work! Such great ideas! Thanks for getting my brain going and helping me to settle on a great freebie to offer! That’s great! Glad you enjoyed my post about freebies!!! Thank you so much for a great post..!! It has helped me alot… I am so sure that following these tips will help me get traffic to my blog. That’s great to hear! Starting an email list and figuring out what email incentives to have on your blog is hard for sure! Have fun! Sorry about that! Right now Mailchimp totally changed right after I created that course so I haven’t had time to update it. I feel it’s a disservice to keep promoting something that is outdated! You’re welcome! Glad you enjoyed this huge post on email lead magnet ideas! Thanks, Elna. I have a question – have you ever worked a drip campaign for new subscribers into and completely separate list on MailChimp? I’d like to set up a completely new campaign for new subscribers (for say…5 – 7 emails), then merge that in with an older, more established list. Wondering if you’ve ever done this. This is just what I needed! So many good ideas and actionable ways to implement them onto my blog. Thanks Elna! So glad you found some lead magnet ideas for bloggers! 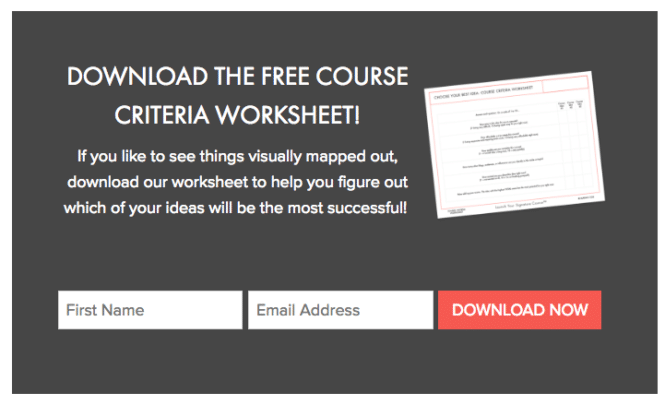 It’s hard to think of some great freebie topics to give to your subscribers! Good luck! Hi Elna, wow what a great post! I’m bookmarking this for later when I have time to properly research my freebie ideas. 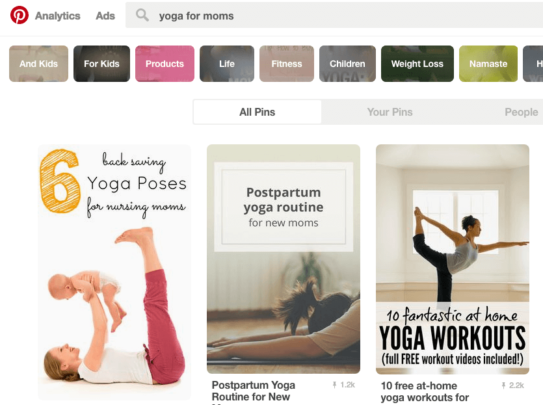 Quick question, how did you add your email sign up banner at the top of your blog for your Pinterest freebie? Thanks again! Thanks mama! My husband is the tech and coder behind this blog. I tell him what I want and he magically does it! I’m sorry I can’t help you but I believe there are certain themes that does this!!!! Thank you so much! <3 <3 Your freebie idea can be a hit and miss. It took me a long time (over a year) to find a good freebie and I'm actually going to change it for the New Year!!! So play around and try new things! Elna you simply amaze me. Thank you so much! I’m so humbled by that statement! I feel I’m no different than any of you mom bloggers. We are in this together! Glad you found some freebie ideas for your blog! Finding that right optin idea is a challenge but what’s great is you can keep on trying until you hit gold! What a great post. I have tried several opt-ins so far and none seem to work well. But thanks to your post, I’ve come up with lots of new ideas. I especially like the ones that tie to a blog post. Those should be easy to integrate into my resource library as well. Elna, you constantly amaze me with your value-packed posts! I appreciate always being able to learn so much from you. And your MailChimp course has been invaluable. The hardest for me is deciding what freebie to offer. I’ve tried several, but my most successful so far has been free access to a resource library for Bible journaling. I’m in the middle of your Traffic building course right now and am loving it also. Aww thanks so much! A resource library is great for a freebie but you first have to fill up that library with other freebies! So checklists, workbooks and videos do good. So glad you are enjoying Ready Set Blog for Traffic course! Guess what! I’m updating that course and may change the name!!! Enjoy it for now! I just checked out your blog! I like! Beautiful picture of you and your baby! So happy you found this post about creating email incentives helpful! Trying to figure out what your optin offer will be is a challenge. It’s okay to try a million things and usually it will take a million things before you find the big ticket converting optin offer! At least it did for me! And I’m sure I can create a more converting freebie later! I’ve had such a hard time thinking of ANY opt-in freebies for my mom blog, but now I have 6 on my list thanks to your ideas! Thank you for this post! I’ll be checking out your growth course too! You’re welcome. Yes, finding that perfect freebie idea for your email list is so challenging. My Pin Promote Planner took like over a year to reveal itself. While it’s a great converting freebie, it’s not 100% the best out there. So I’ll sure be thinking of new ones throughout the year! Good luck and happy to see you have 6 ideas! This post was super helpful! I’m in the process of creating some sort of opt-in freebie and my head is spinning a bit. This really gave me a lot of good ideas, so thank you so much for that! Thank you so much! So glad you found some email incentive ideas! Mines customized but you can find a plugin for that like Bloom! I’ve been looking at how to level up my blog, and this was fantastically helpful! This is going to be one of those bookmarked pages that I refer to over and over! Thanks so much for stopping by! I’m glad you’re going to bookmark this for when you need some ideas for your optin incentive!! Have fun! 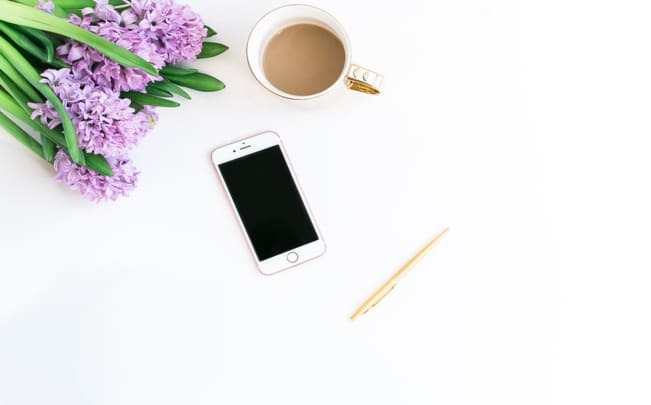 I am a newbie blogger and I am so intimidated by the idea of Email lists and opt-in but this list has given me so many ideas and I cant wait to try them. Thank you so much! That’s awesome! I’m so happy you aren’t intimidated anymore. This is exactly why I wrote this post. I want to help you figure out that one idea and take action and create that freebie! Way to go! This is such a great post, I was doing a resource library access for my freebie but Im thinking of changing it to a worksheet or a pdf of some resources. Thanks again for this! I’ve done both and a resource library was a great option for me once I had multiple freebies! So try both! This is an awesome post! I’m just starting out with my blog and trying to absorb as much information as possible. I love the actionable ideas you provided to grow an email list! Definitely has my wheels turning for some potential opt-ins! Thanks mama! Glad you found some ideas for building your email list! Good luck! One of my big goals is to host a webinar, but I’m a little nervous to do it. I’m looking to grow my email list so it might be the push I need to try to host one! Thank you for these tips. Yes, webinars are awesome and will grow your email list fast!! Good luck! My first freebie didn’t do well but I’m willing to try again now I have more information. Good luck! I’m sure this post will help you get some more ideas! Great post! So many great ideas! Now just got to do it! That’s right – just go out and do it! Have fun creating your freebies. This is amazing! I keep hearing “you have to develop a freebie, you need to give away a freebie” but I have spent a YEAR trying to decide what that freebie should be! I finally just googled ‘parenting blog freebie ideas’ and found you! Now I have an even bigger problem – narrowing down my freebie ideas to just one! (To start with, at least!) Thank you Elna! You make me laugh! No idea to now, too many!! ha! Have fun narrowing! This is a fantastic post! I have been so much research lately that my head was spinning. Your writing and ideas have cleared some of the “head noise” and provides some really great inspirational action steps! Thank you!! I’m glad you found some ideas for your freebie! Thanks for stopping by! <3 Thanks a bunch! Glad you liked it! I LOVE email and I can talk about email all the time for sure 🙂 Thanks for stopping by! 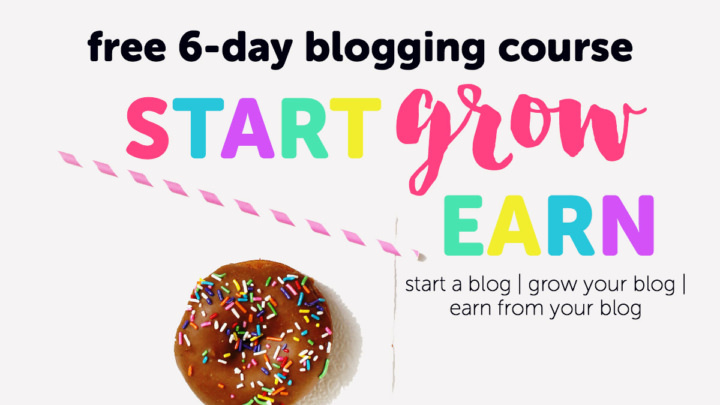 Hey Elna, this is such a great resource for new bloggers. It’s also a great reminder that you can create more than one opt-in to evaluate and monitor how they convert. I used to get so frustrated when an opt-in didn’t convert like I’d hoped. 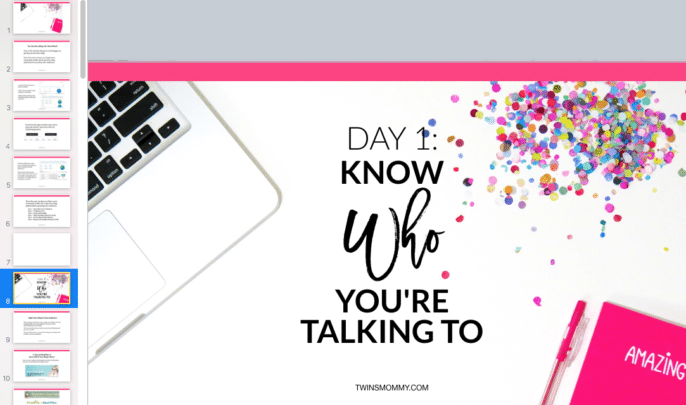 Then, I started playing “trail and error” with my opt-ins and I finally found one that worked for my audience of moms on the fence and in-process of creating their own mompreneur empire. Yes! I was stuck in that mindset too. I would create the ONE freebie and get frustrated that it didn’t convert. 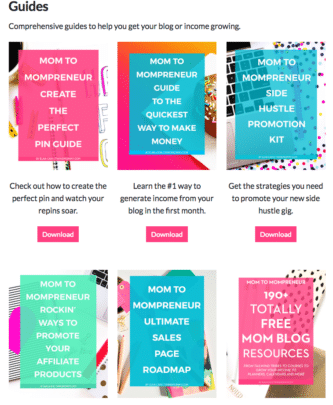 I didn’t realize that I could create multiple freebies and do A/B testing too! Awesome list! Thank you, Elna! You always have the best tips! Oh boy! That’s a massive list of ideas. Thanks for putting this together. I still have your ’26 ways to supercharge your productivity’ post permanently opened in a tab on my phone browser. It’s been a couple of months and I keep going back to that post. I reckon this post is going to be another such. Yay! Glad you love my posts and I hope you found some great ideas to help you mom blogger! Amazing!!!!! This post has really good ideas and so practical tips and step by step stuff!! It’s really what I needed!!! I’ve been following you for a short while and taking some of your courses and have to say I love what you are doing! Your tips have really helped me professionalize my blog so thank you so much!!! I just have one question: when I offer a freebie or whatever in exchange for people’s email do you suggest I tell people that giving me their email automatically signs them up for emails? I mean because should I always have permission to email people? Are they giving me permission by simply giving me their email or should there be an additional box that’s clearly states that I’ll be using their email to contact them in the future? Loved this post. So many actionable ideas to grow your email list. The best thing about it is, you show what you do and works so they can be pretty easily achievable by your readers. I am always a fan of your creative styling and imagery. May I know how do you make such awesome images for your optin images like this video slide image you made for this optin? Thanks so much! Yes checklists are awesome eh? They really are helpful for bloggers. I use Keynote for my slides. For the images, I take a screenshot for each image and put that as a preview 🙂 In my upcoming course on MailChimp I have a lesson on creating those previews and CTA boxes to engage your readers to opt-in! !